Get ready for cold drinks and good times in the Lone Star state with our Personalized Texas Love Party Can Coolers! Custom printed drink huggers are great for cans and bottles and they make the ultimate functional party favor. Designed with our Texas LOVE graphic, these are further personalized with bride and groom's name and date. 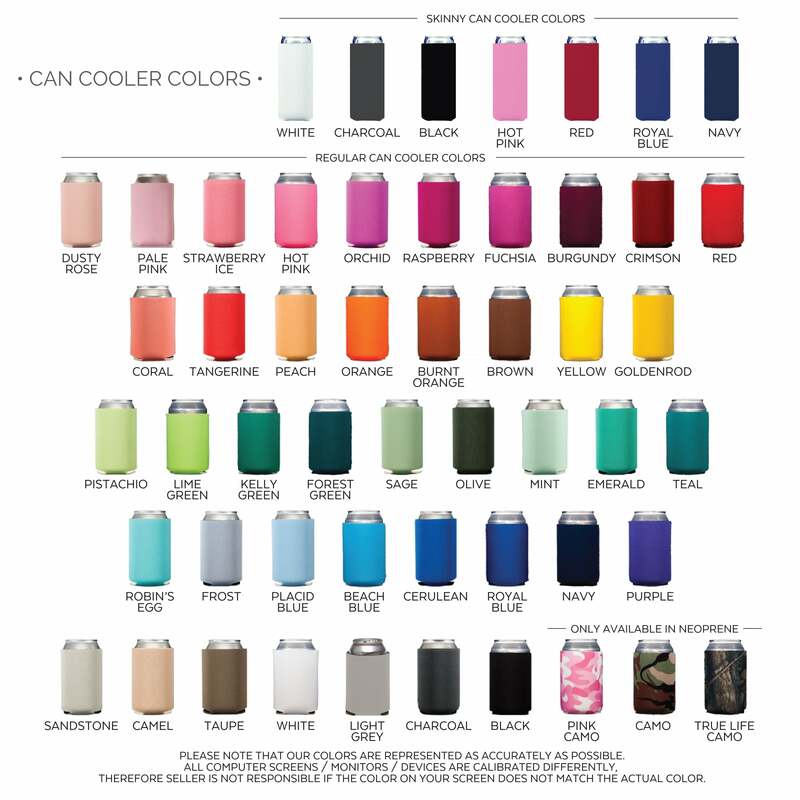 Personalized can insulators make a great addition to any wedding reception, birthday, pool party, BBQ or graduation!